As I wrote earlier, I am currently studying two books, one by Jonathan Baron (Thinking and deciding, 2nd edition) and the other by Diane Halpern (Thought and knowledge: an introduction to critical thinking). My need is for a thorough overview of both to better situate the systems approach in the general theory of complex decision making and problem solving, so my posts about both books are not reviews. My last post about Baron can be found here. This post is about Halpern’s. Baron and Halpern serve slightly different audiences, but the subject (critical thinking, deciding) and approach (cognitive psychology) are very similar. Having gone through both volumes showed how books about critical thinking can be a design challenge. Baron solved it neatly by sticking to his search-inference framework throughout the book. I don’t think there are any topics that are dealt with in one book and missing in the other. The differences are mostly a matter of emphasis. Both books are very rich in insights and examples. I summarized both books in concept maps. In this post I describe my concept map of Halpern’s book. Critical thinking .. is about the application of problem-solving and cognitive (thinking and learning) skills to problems in general and ill-defined situations in particular. The problem-solving skills are used in strategies that help resolve these problems. There is no point in applying one skill (say problem-solving) and forget about the others. They all hang together. This even applies to the memory aspect of the learning skills. The scientific basis for critical thinking comes from the learning sciences, cognitive psychology in particular. Key intellectual skill Many of the problems in the 21st century (in business, government and our own lives) occur in complex situations that are characterized by ambiguity. The ambiguity is the result of the inherent complexity of the situation, the individual values (or personal goals) of the actors involved and even the emotional aspects of their perception of the situation. Creativity … (or innovativeness) can be enhanced by problem-solving strategies. The problems we face are increasingly complex and lack clear-cut solutions, yet we feel a need for desirable outcomes (competitiveness, popular support etc.). Halpern describes creativity as the searching of people’s knowledge nets (i.e. memories) for remote ideas that can be connected to form new ideas or concepts and innovative solutions. Fallacies and biases Critical thinking is often associated with learning a large number of fallacies and biases that muddle our reasoning. Good reasoning is as essential in science as it is in real life. Many of our reasoning errors can be avoided by a better understanding of hypothesis testing and the use of statistics. Other forms of reasoning are based on building a correct argumentation. This can be improved by using argument analysis involving the critical assessment of assumptions and counterarguments. 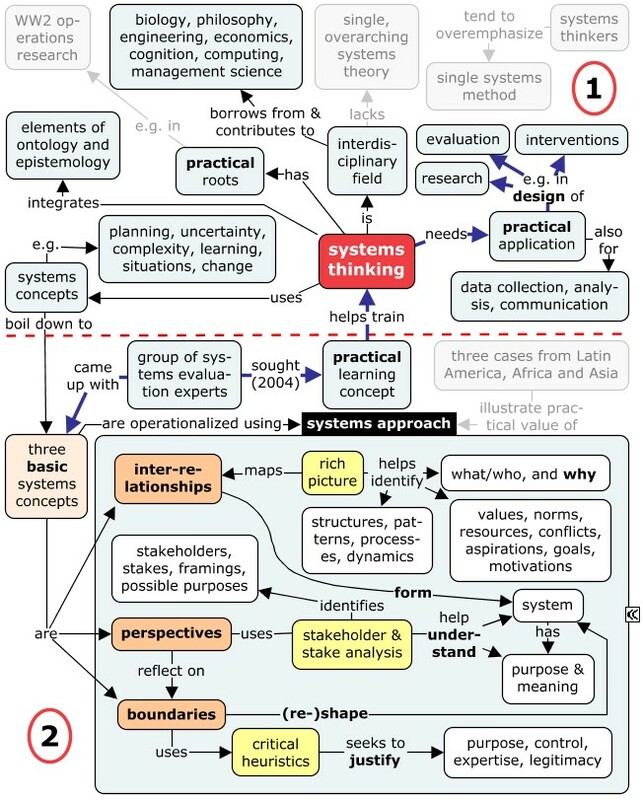 Systems thinking … also deals with complex situations, yet Halpern’s book contains no mention of it. It does, however, contain a reference to the systems approach in the form of a psychological application to creativity. She writes that some psychologists “believe it [creativity] is the confluence of many different types of variables that make creativity more or less probable. Of course, the creative individual is central to the process, but she or he works in a domain of knowledge (e.g., art, physics, decorating, teaching, horse breeding, and any other domain you can think of). The contributions of an individual to a domain are judged by the people in that field—the art critics, funding agencies for physics research, editors of decorating magazines, etc. The people in the field act as the gatekeepers for a domain—they decide what is and is not valued.” The systems approach is of course well known to psychologists, see e.g. “A brief history of systems approaches in counselling and psychotherapy” (Bauserman and Rule, 1995). Churchman’s dialectical systems approach … seems relevant to critical thinking in a variety of ways: (1) it can handle complex situations; (2) it can handle ambiguity; (3) it encourages creativity and innovativeness; (4) by looking at (and ideally involving) actors playing different roles it improves reasoning in a variety of ways, creating a propitious environment of sensitivity, synergy, and serendipity; (5) its full application requires a boundary critique, during which assumptions and counterarguments are identified and critically examined, thus avoiding a great many biases and fallacies. A straightforward methodological application of Churchman’s dialectical systems approach is described in Wicked Solutions (see also here, here or here). Book abstract The 5th Edition of Thought and Knowledge: An Introduction to Critical Thinking applies theory and research from the learning sciences, including cognitive science, to teach students the critical thinking skills they need to succeed in today’s world. 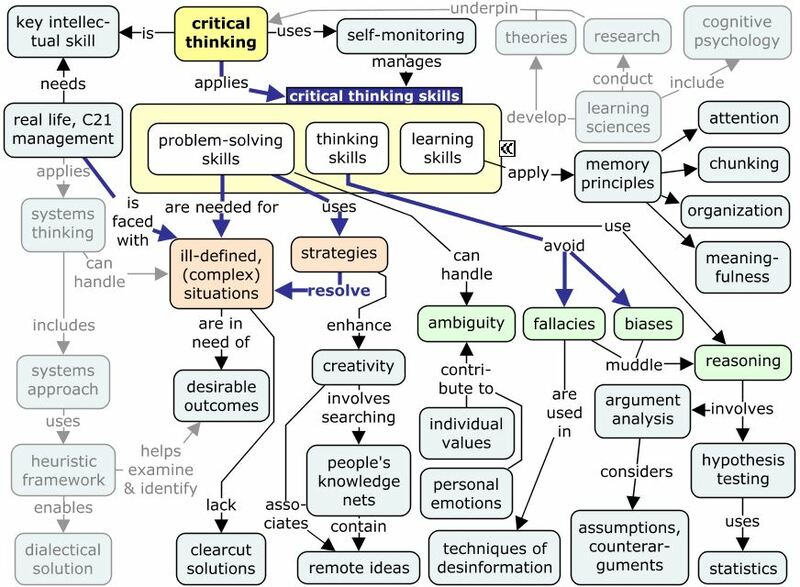 Critical thinking is the use of purposeful, reasoned and open-ended cognitive skills and strategies to increase the probability of a desirable outcome when solving problems, formulating inferences, calculating likelihoods, and making decisions. The role of memory is elucidated and a broad range of fallacies, biases, and techniques of propaganda is described. Other key topics include deductive reasoning, argument analysis, hypothesis testing, statistics, decision-making, problem-solving skills, and the need for creativity. It is emphasized that most of the problems encountered in life are ill-defined. Twelve different strategies for generating and evaluating solutions are presented, including means–ends analysis, working backwards, random search, rules, hints, split-half method, brainstorming, contradiction, and analogies and metaphors. All of the strategies to enhance creativity involve searching an individual’s knowledge net so that remote ideas can be associated, analogies can be applied across domains of knowledge, and information that is stored in memory can become available. The companion website to the book is available from routledgetextbooks.com. I am currently studying two books, one by Jonathan Baron (Thinking and deciding, 2nd edition) and the other by Diane Halpern (Thought and knowledge: an introduction to critical thinking). My need is for a thorough overview of both to better situate the systems approach in the general theory. The common factor is that all three – deciding in general, critical thinking and the systems approach – use heuristic methods to deal with ambiguity, biases, fallacies, and ill-founded assumptions in one way or another. The question is: how do they relate to each other? From the look of things Baron has the most general theory, which – according to his own theory – should allow for some transfer of learning to the other two. So, that’s why I will start with Baron. I have already made some preparations in 5 previous posts in the form of an abstract for each of the 24 chapters, which I used for creating a meaningful concept, which is organized in 4 colums. It works for me, so I hope it will do the same for you, in spite of the about 100 concepts. (Halpern’s book will follow in a future post). 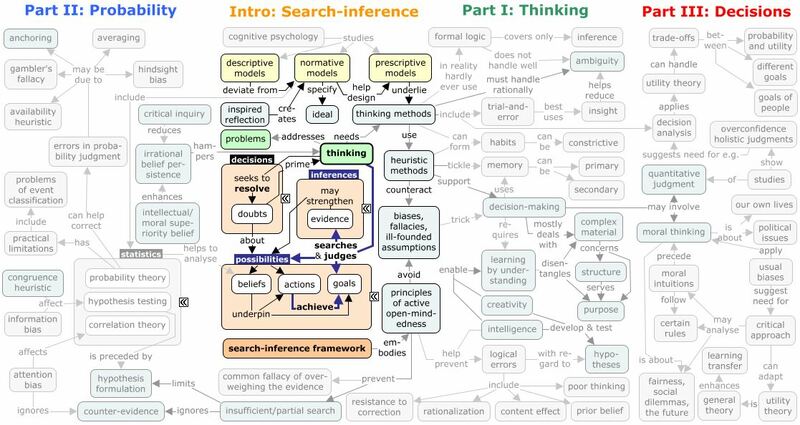 Search-inference framework The cognitive psychologist Baron describes thinking about beliefs, actions and goals in a single, fundamental framework for thinking processes of search and inference. This process has the following main steps: (1) thinking is kindled by the realization (dubbed ‘doubt’) that a certain belief in a certain action may not be justified; (2) thinking, especially rationally thinking, then seeks to resolve those doubts by searching for alternatives (or possibilities) of action, belief and even goals; (3) evidence is then sought to justify, or rather infer the strengths of certain courses of action or belief; (4) the process ends by taking a decision about how well certain actions are expected to help achieve certain goals. The framework embodies the so-called principles of open-mindedness to avoid biases, fallacies, ill-applied heuristics, and ill-founded assumptions in our understanding and decision-making. The framework also serves as a basis for thorough approach to the normative, descriptive, and prescriptive aspects of judgment and deciding. The framework could also be used as a heuristic or thinking method in its own right. Part I: Thinking … is all about inference. Human inference – as opposed to its automated form in artificial intelligence – is studied within the field of cognitive psychology. Charles Sanders Peirce divided inference into deduction, induction, and abduction. Deduction uses formal logic, induction uses modern science to generalize from controlled observations, and abduction uses insight to try to diagnose (i.e. to hypothesize the most likely conclusion) an ambiguous, uncontrolled situation (ambiguity). Abduction leads to relatively uncertain or provisional conclusions, but in daily life there is often no alternative some sort of trial-and-error. If it works, it is OK. If it doesn’t it suggest the need for searching another possibility that fits the evidence better. This may involve reweighing the evidence. Formal logic has little use in the real world. Science is great, but if things get complex, which they do in reality, it has its limitations. The problem with abduction is that trial-and-error is beset with difficulties. So we want to infuse as much insight as possible. Thinking, especially abductive thinking, requires all human faculties, including memory, intelligence and creativity. It is good to be aware of the biases and errors one may fall victim to, including rationalization and resistance to correction. 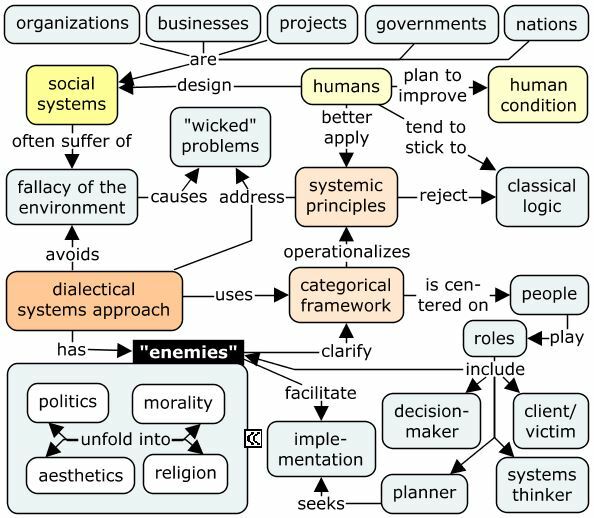 Social systems thinking belongs in the category of abductive thinking methods. Part II: Probability …. is all about statistics. Statistics can be subdivided in probability theory, hypothesis testing, and correlation theory. Statistics is useful because it is able to handle uncertainty. Baron is interested in it as a tool in decision making but also as a tool for identifying human biases. Cognitive studies of probability judgment have shown a great number of biases, including anchoring, gambler’s fallacy, availability heuristic, and hindsight bias. A serious problem in hypothesis testing is that we may be testing the wrong hypothesis. In fact people tend to rely on direct testing, rather than indirect testing. This is known as the congruence heuristic, which works like a confirmation bias or myside bias. Correlation theory poses its own problems. People tend to confuse correlation with causality, which is not a good idea, because addressing a single cause in a complex situation often makes things worse (a well-known phenomenon among systems thinkers). This is mostly due to attention bias. Part III: Decisions …. is the part that looks at some practical issues in decision making, especially quantitative judgment and moral thinking. Baron stresses the adaptability of utility theory as a normative model for handling trade-offs and for analysing fairness, social dilemmas, and decisions about the future, e.g. by discounting. Cognitive studies have shown that quantitative judgment of people is often way off, especially when people try to assess a situation without the use of calculations (“unaided holistic judgment”), which suggests the need for thoroughgoing decision analysis. Statistics and utility theory are two normative models with a high transfer of learning, i.e. with generality applicability in a wide range of contexts. 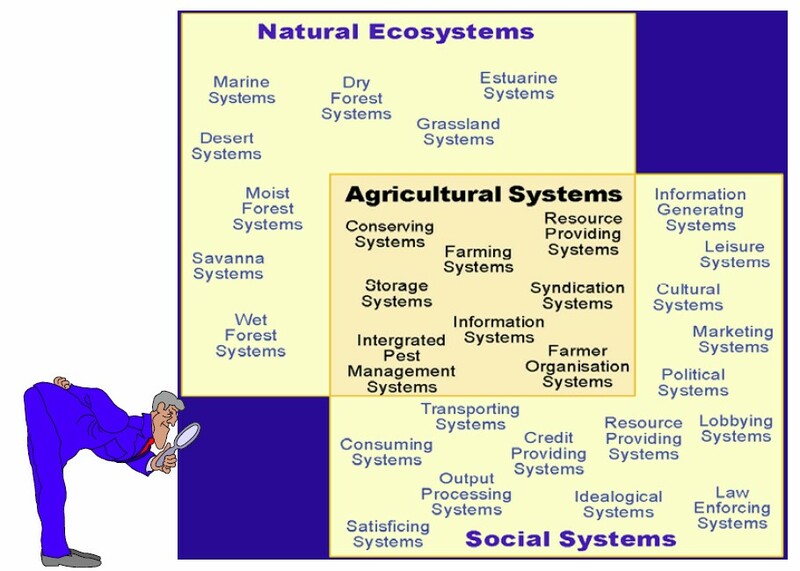 Systems approach Churchman designed his systems approach with generality – of the type that enables learning transfer – in mind. 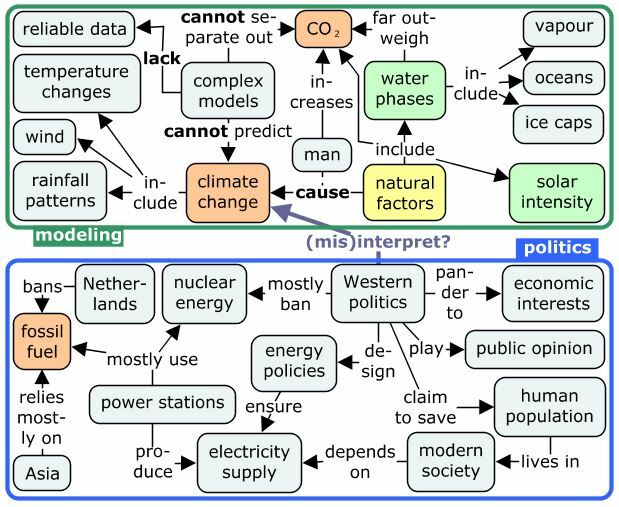 In the concept map we can read that “heuristic methods support decision making, which mostly deals with complex material, where a structure serves a purpose, and that needs to be disentangled.” It also shows that: “principles of active open-mindedness prevent insufficient or partial search and the common fallacy of overweighing the evidence.” In my view, utility theory, decision analysis and statistics are all very good normative or prescriptive models, but in many cases these models are best used after applying the systems approach. The main reason is that the systems approach is more powerful for disentangling the ‘structure that serves a purpose’ (i.e. the system, however it may be bounded) and for conducting the search for possibilities, goals and evidence. When it comes to learning critical thinking and decision-making skills, the dialectical systems approach has a lot to offer. The heuristic model of Churchman’s categorical framework would seem highly suited for operationalizing Baron’s search-inference framework and bring to life in a natural and coherent manner the notions, theories, models and techniques of critical thinking. Food for thought. The dialectical systems approach is particularly good in avoiding the myside bias and in learning by understanding, using various systems principles (deception-perception, maximum loop). Logic, statistics, & cetera Logic is the main theme of part I, while statistics is the main theme of part II. It is interesting to note that Churchman started his career with a PhD on logic, somewhere in the Dust Bowl years of the mid-1930s. It was called “Towards a General Logic of Propositions” (Churchman 1979, xi). Generality is an ideal (e.g. for learning transfer), which is very hard to approximate. Churchman concluded that logic falls in the trap of tautology or self-referencing with open eyes. Statistics is another theme in his early career. It had a double appeal to him in those years: statistics was a developing field of study with great practical utility in scientific management, the American discovery at the beginning of the 20th century. Thanks to the war he could apply his knowledge of statistics to improve the quality of small arms munitions. This gave him his first successful experience in real management and set him up for his contributions to the development of management science in the 1950s, which is about decision-making, the main theme of part III. Management science uses computer-based, quantitative models. Churchman found out their moral limitations and designed the dialectical systems approach. The quantitative and moral dimensions correspond to the two main sub-themes of part III. Conclusion Reality is ambiguous, evasive, uncertain, unstructured. Decision-making cannot be based on logic or quantitative optimization alone, because they are non-ambiguous in nature and seek certainty where none can be found. Statistics cannot solve this either, mainly because it tries to look at uncertainty in particular relationships, not at the situation as a whole.Certainty is an ideal that can only be approximated by giving place of honour to ambiguity. The denial of uncertainty is at the root of many human problems. A true framework of ambiguity attempts to look at decisions from a broad perspective. Churchman’s dialectical systems approach is a very good starting point. 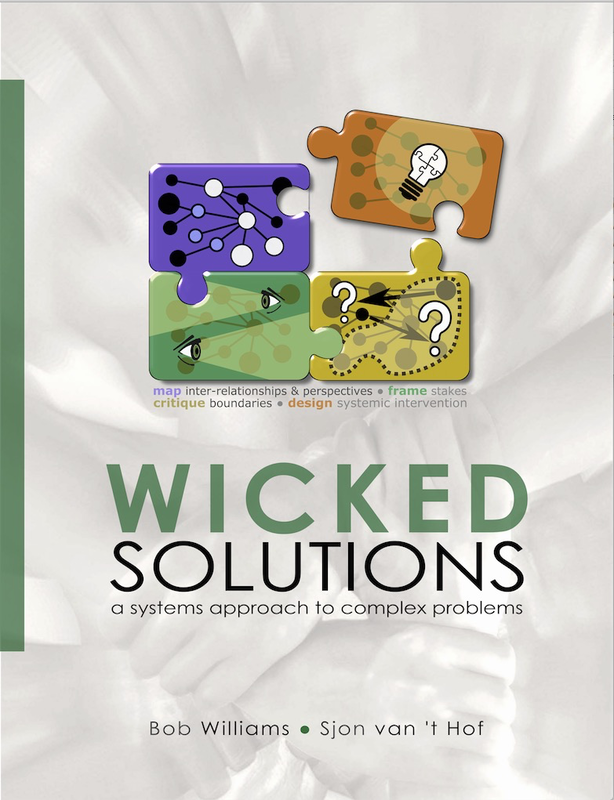 Wicked Solutions is based on that approach and provides a methodology for its practical application. In a previous post I said I would cover parts II and III of Baron’s guide to the psychology of human decision-making entitled Thinking and Deciding (1994 2nd edition). Part III is about decision making, including both the decisions that affect only the decision maker and the decisions that affect others, that is, decisions that raise moral questions. It also examines long-term planning, with special emphasis on the choice of personal goals. The part is particularly concerned with the inference of a course of action from our goals and from evidence concerning the consequences of our options for achieving them. In my previous post I said I would cover parts II and III of Baron’s guide to the psychology of human decision-making entitled Thinking and Deciding (1994 2nd edition). So here is part II, which is divided in five chapters to explore three major approaches to the analysis of belief formation: probability theory, the theory of hypothesis testing, and the theory of correlation. It concludes with a discussion of biases in belief formation in general. I am now halfway the book and I can only say that this one of the greatest books that I have ever read. What follows are just abstracts of each of the five chapter of part II. The next blog will cover the nine chapters of part III. I am looking forward to reading the last part of the book.